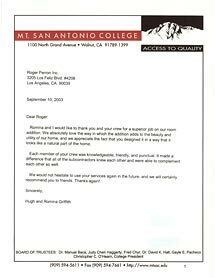 Griffith » Roger Perron Inc.
Romina and I would like to thank you and your crew for a superior job on our room addition. We absolutely love the way in which the addition adds to the beauty and utility of our home, and we appreciate the fact that you designed it in a way that it looks like a natural part of the home. Each member of your crew was knowledgeable, friendly, and punctual. It made a difference that all of the subcontractors knew each other and were able to complement each other so well. We would not hesitate to use your services again in the future, and we will certainly recommend you to friends. Thanks again!